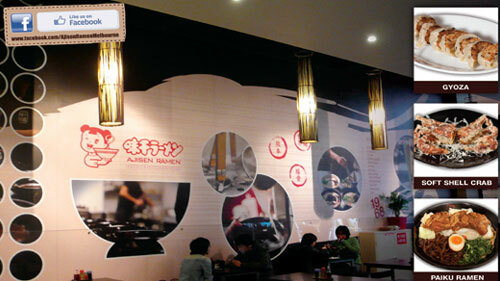 Established in 1968 Kumamoto Japan, Ajisen Ramen has more than 40 years of experience in Japanese Ramen. It has over 700 shops worldwide. Ajisen Ramen 1st opened its door in 2004. It has then bring in the Ramen Culture to the Australian Public. It is famous for its Paiku (soft boned) Ramen, Chaysu Ramen, Chargrilled beef ramen, Gyoza & Tori Karaage.